Our largest facility is centrally located on the main street of Clymer. This building houses a full range of up-to-date equipment used in therapy and strengthening. 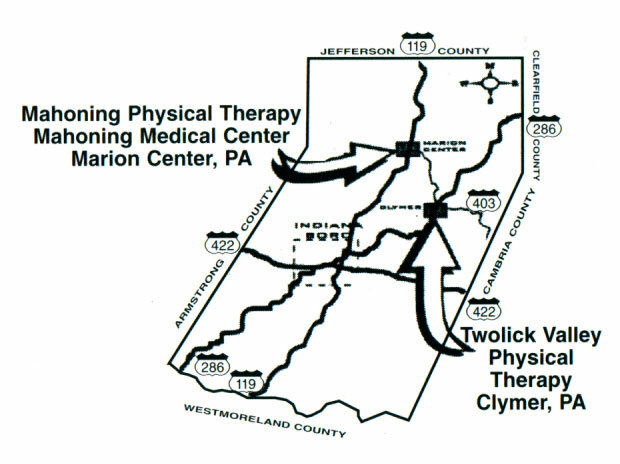 Our Marion Center location serves the northern region of Indiana County. The Mahoning Medical Center also houses a dental office, physician office, pediatric clinic, and outpatient testing lab.